Auckland entertainer Lionel Reekie, who has performed extensively in many of New Zealand's top venues, is a member of the Variety Artists Club of New Zealand and has appeared on stage as a soloist in many countries including USA, Europe, China, Fiji, Australia and New Zealand. In 2007 he was a guest vocalist for the Auckland Symphony Orchestra at their “Last Night of the Proms Concerts”, performing songs from modern musical shows. As well as being a versatile singer and musician, Lionel is also an accomplished conductor. 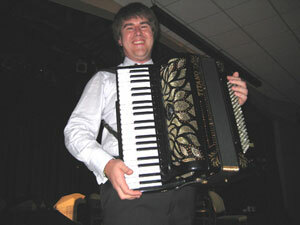 In August 2007 Lionel conducted the New Zealand North Shore Accordion Orchestra in Washington DC and New York, including a concert on the Millennium Stage at the Kennedy Centre in Washington DC. In September 2002 Lionel conducted the Musicale Accordion Orchestra during their concert tour of China. One of these concerts was televised by a Chinese television network. Lionel (AIRMT) is also Manager of the Music Education Centres (Henderson and North Shore). 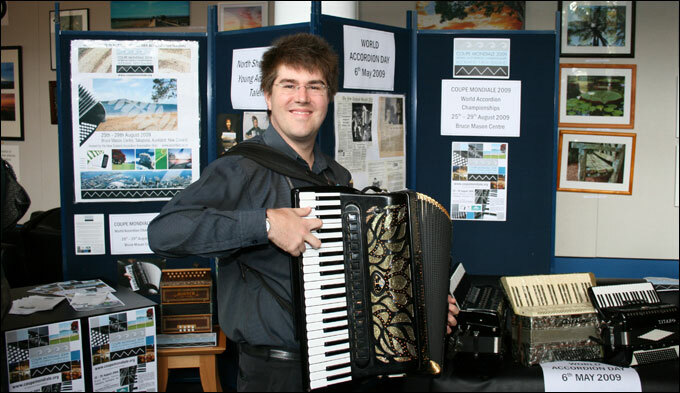 He holds a New Zealand Accordion Association Teacher’s Certificate. 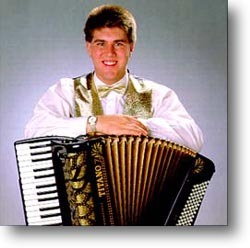 1985-1997, Air New Zealand Accordion Orchestra member and was lead vocalist on the 1992 and 1996 tours through Europe, as well as the 1994 tour of USA/Canada. The orchestra's 1994 CD "On Tour" featured much of the programme from these three tours. Lionel was a featured soloist at the American Accordionists’ Association festivals in Houston, Texas (1995), Philadelphia, Pennsylvania (1996) & Washington DC (1997). At these festivals, Lionel gave several concerts, and held workshops on MIDI with accordion. No stranger to radio and television, Lionel has had performances and interviews broadcast throughout the world. In 1987 Lionel recorded an album, " Lionel Reekie Sings", under the ODE record label and in December 1996 he released a CD entitled “Starlight” using MIDI accordion with vocals. Lionel has also featured on many other recordings. On his most recent CD - “From Russia with Love”, recorded in Novosibirsk, Russia with the Siberian Festival Orchestra in January 2011, Lionel sings well-known songs from stage and screen, such as Phantom of the Opera, Les Miserables, My Fair Lady and James Bond – From Russia With Love. You can new view Lionel on YouTube, playing both Domino and Danny Boy.